By using a dispenser for UV inks or coatings, you can reduce personal handling of chemical formulations, increase productivity, and provide precise metering controls to suit and job. The one-piece, plastic, unbreakable transfer GRADUATED PIPET eliminates the hazards of broken glass and exposure to caustic materials. Put an end to matching that rubber bulb with a glass pipette. 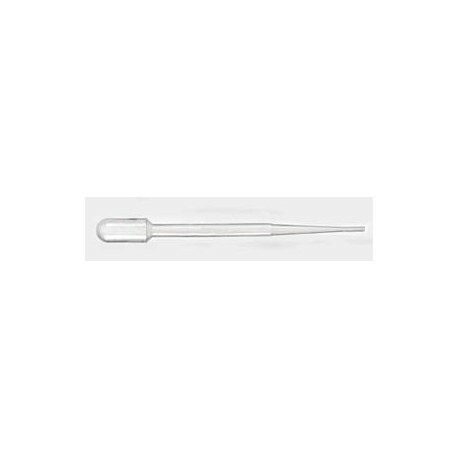 Since the entire unit is disposable, these pipettes also prevent cross-contamination to samples. Molded in one piece from see-through low density polyethylene. Inert to most acids. Delivers repeatable drop sizes. One squeeze draws up to 3.2mL. Available with .50mL graduations (J002-007) or without graduations (J002-008). J002-007: 7.9mL capacity. 6" (152mm) length. J002-008: 7.7mL capacity. 5-7/8" (156mm) length.